INSTAR Lawn was founded in 1999 to provide quality lawn maintenance and landscape services in Charlotte County, Florida and North Fort Myers. Michael Jennings, the owner/manager of INSTAR Lawn, holds a bachelor’s degree, and is conversant in English, Spanish and French. 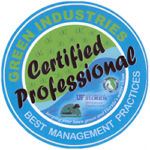 Our staff receives ongoing education and training from the University of Florida Extension Service as well as other sources, and have completed the Florida Green Industries program. 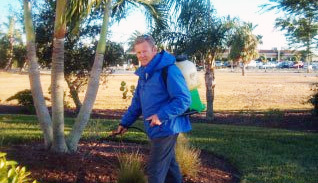 The Florida Green Industries program training provides knowledge about Florida non-point source pollution, proper design, construction, irrigation, fertilization, pest control, and maintenance of lawn and landscapes. Our credentials, service area, scope of work and staffing have expanded; but our commitment to quality remains in customer service and satisfaction. Fort Myers, Punta Gorda, Port Charlotte areas. Reliable lawn and yard maintenance whether you are home or away.